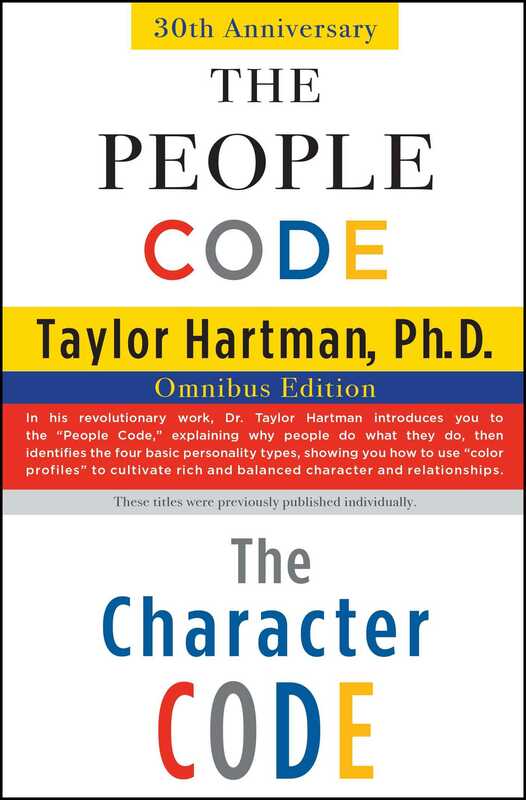 A must-have omnibus edition of The People Code and The Character Code with a new Introduction from Dr. Taylor Hartman, celebrating thirty years of his revolutionary work on understanding motivation and character. As an author, psychologist, and leadership coach, Dr. Taylor Hartman offers an incisive system for improving your understanding of yourself and others and strengthening your day-to-day relationships. In first The People Code and then The Character Code, Dr. Hartman introduces the Color Code Personality Profile, explaining why people do what they do by identifying four basic personality types and showing you how to use “color profiles” to cultivate rich and balanced character and relationships. All people, reveals Dr. Hartman, possess one of four driving “core motives,” classified by color: Red (“power wielders”), Blue (“do-gooders”), White (“peacekeepers”), and Yellow (“fun lovers”). Once you understand your color code—and the color codes of others—you can analyze your own innate personality and use that knowledge to balance your relationships, both personal and professional. The essence of character is the ability to enhance not only your own life, but the lives of others as well. Together, The People Code and The Character Code provide a universal message, simple and profound: life is about relationships. Taylor Hartman, Ph.D., is a practicing psychologist, author of The People Code and The Character Code, and creator of the Color Code Personality Profile. He received his Ph.D. in Human Behavior and Leadership from the School of Human Behavior at the United States International University in San Diego, California. Dr. Hartman is currently a full-time business consultant and CEO of Hartman Communications. He lives with his wife in Utah.